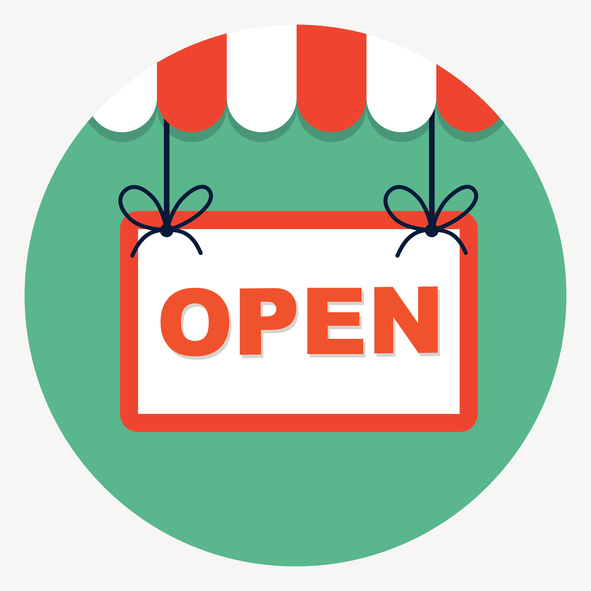 There has been much talk over the past few months about being “open for business”. The phrase has been used to describe both Britain and London in the wake of the Brexit vote. But how about you? Are you ready to open for business? Our recent blog, New Year – new business? outlined a five stage plan for starting up your own business. But with experts, such as, The Federation of Small Businesses and Forbes quoting figures anywhere between 50-90% of start-up businesses failing within their first five years of operation, how ready are you? Take our quick ten question quiz to see whether or not you are ready to open for business? 1. Do you have the funding? Most new businesses do not have their own reserves to start with, but need to find a small business loan to help them get started. Check out our recent blog Start Up Loans to find out more about the government-backed Start Up Loan scheme, which provides small business loans and mentoring for entrepreneurs. Also check out what small business grants are available for your business type and sector: every little helps! 2. Have you researched your market? You need to do thorough research and test your ideas with your target audience. Your market research needs to be thorough to enable you to build a successful business plan and finalise your brand. If you don’t talk to your potential customers before you start then don’t be surprised if they don’t want to talk to you once you’re up and running! 3. How are you going to operate? Decide what is the best business structure for you. You may choose to go it alone as a sole trader, to create a partnership or to set up a limited company. Each has its own advantages, so you need to make sure that you choose the one that is right for you, the stage your business is at, and the sector in which you’re operating. Choosing the right name is so important! Take your time to choose a name that describes your business well and for which a domain name is available. Find a name that feels right for you and your business, and conveys your USP. 5. What is your brand? Branding is key to the success of your business. Not only the name but the design matters too. Your business logo needs to be eye catching, instantly recognisable, and to convey the essence of your business. Easy really! You may want to design something yourself or bring someone else in to do it, but take care to get it right, as the logo will then influence all your other marketing material and have a huge impact on how you come across. 6. Where will you operate? For most small businesses this is a choice between working from home or paying for an office - either taking on a lease yourself or sharing with another business. If you work from home it will be cheaper, but having an office can put you on a more professional footing. A tough choice to make, but make a definite decision rather than drifting into one or the other. 7. Are you tech savvy? There are so many technological developments that can help you run your business smoothly, that it would be foolish to ignore them. Automate as much as you can and store data in the cloud so that you can access everything everywhere. Check out our blog Work Smarter not Harder for some of the latest business tools and apps aimed at boosting your productivity. 8. Are you willing to learn? Let’s admit it, there is a bit in all of us that thinks we know best and can go it alone. But in business, it is essential to learn from those that have been there before and to keep on learning. Always be open to learn: whether it’s online courses, YouTube videos, business books or magazines - the choice is yours, but learning itself is not a choice, it’s essential! 9. Do you take record-keeping seriously? Don’t even think about trying to do it yourself! You really do need to appoint the right accountant to help you keep track of your finances and navigate your way through the murky waters of taxation and compliance. Find someone who has experience in your business sector and, ideally, someone who comes recommended by word of mouth. You will not regret it! Final question! If the above has not put you off - and if you have ticked all the boxes then maybe you are indeed ready to open for business. All of us at Fair Business Loans wish you the very best with your new venture. Do check back here regularly for business tips and advice to keep you ahead of the game and open for business!